I coach women from all walks of life both professionally and personal. If you need someone to coach you on direction and purpose, then Dr. Shannon is the person to call. Hi Jeri , I would like to speak with you briefly to see if you're a good fit to coach me. Please contact me at your earliest convenience. 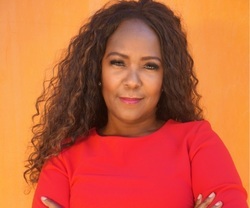 Jeri Shannon is a dynamic personality and motivational speaker; author, business owner, non-profit and community leader of various sectors of community. Jeri energizes people to meet the challenges of the world around them. She skillfully weaves her compelling life story into the reality of our daily lives. Jeri’s straight-from-the-heart, passion and high-energy, motivates audiences to step beyond their limitations and into their destiny in many ways. She has a keen way of turning what she touches into gold. With her experience, in which she had to overcome obstacles and personal struggles as a young single mother to achieve her destiny. Dedicated to facilitating the growth and evolution of human consciousness; she continues to reach within to the soul and bring out the best in mankind. A stumbling block as a young unwed mother, many did not recognize the true potential of her talent. She used determination, persistence and belief in God and her ability to go beyond being a young mother with no college degree to unleash a course of amazing achievements including; Host of her own radio and talk show, Business manager and so much more. Have you worked with Jeri ? Tell your friends! Jeri doesn't have any reviews yet. Jeri hasn't submitted any articles.